Yes it'e planned, the thing is that for some things I'm blocked by Kodi that does not support everything properly and well I usually only add things that works for all supported things. Yatse still needs your help to counter Google robots If you own a blog or a website and are willing to talk about Yatse please contact us. * Added: Enabled Spanish language for AI voice commands. * Fixed: Fix Yatse working in proxy mode in some sharing case. * Fixed: Fix some UPnP discovery issues. * Fixed: Fix Kodi 16 music sync. * Fixed: Fix Media Player Classic custom commands. * Fixed: Fix favorites sorting. * Fixed: Some other reported issues and always more optimizations. I am trying to configure Yatse to work together with my Emby server but am running into issues. The Yatse client is not allowing the hostname for my Emby server (media.subdomain.domain.org). How do I configure this? https://yatse.tv/wik...tse-kodi-remote for logs so I can see the issue. * Added: Support Fire TV as network player/renderer. * Added: Smart filters selection lists now includes filtering. * Added: Queue URI to API and Tasker plugin. * Added: A few more details to albums/artists info page when available and new design for some info screens. * Fixed: Next episode part in overviews could be missing sometimes. * Fixed: Language setting not always working on recent Android versions. * Fixed: First sharing sometimes not working. Wanted to give this a try and am also running into issues. 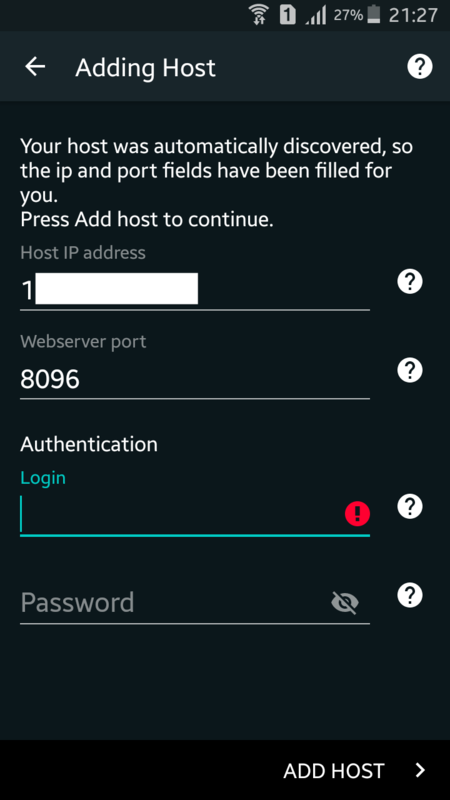 Installed the Play Store version, put https://mydomain.net and the port in Yatse and got a couldn't solve hostname back. https is not part of an host name but a protocol. Edited by Tolriq, 23 September 2018 - 05:57 AM. * You can now hide tabs you never use in interface settings. * Muzei support is back with Muzei 3.0 API. * Option to show response for HTTP Custom Command plugin. * Try to automatically fix some user input errors in wizards. * Streaming Emby PVR from the EPG view. * Workaround for Netflix plugin that returns wrong media types for shows. * Many internals updated / migrated to Kotlin. * Some other reported issues and always more optimizations. Merry Christmas and Happy New Year. A big thank you for your support since all those years! * You can now press header of info dialogs to go to media lists. * Fixed: Some rare Legacy unlocker issues. * Fixed: Text selection in info dialogs. * Fixed: Some covers display on remote players. * Some rare crashes are now crushed. * More refactoring and library updates. I have been using Yatse for more then 4 years now, combined with Kodi. Now I use Emby instead of Kodi because of the server side of things, but I really miss the great Yatse Remote feature to control Kodi! (Casting within Emby, or Plex for that matter, doesn't work half as good). I got my hopes up again when I read this reply. @Tolriq Does this mean I can browse my Emby library on my phone and remote control the music on a HTPC connected to my amp and speakers (like I used to do with Kodi + Yatse remote)? But what is your goal ? Yatse can connect to Emby natively and play on your Kodi regardless of any addons installed on your Kodi. Just select Emby as source and Kodi as player. I started Yatse again, and tried to connect to my Emby server, but I get the message: "Your server software is too old and no more supported. Please update to a supported version (see website)." I use the latest Beta version of Emby. Edited by jellelle, 13 January 2019 - 09:28 AM. But seeing how they block other things maybe they now block all other apps don't have investigated yet. Some major libraries are moving toward Android 5+ only, so your information are important to delay (or not) the same requirement in Yatse. * As requested by some users, you can now donate via subscriptions. Gives access to a private section on Yatse forum. * Clicking on the backup file in file explorer, or any cloud provider will directly propose to restore it's content. * Menu entries to add now playing, and now playing playlist items to Yatse favorites. * Menu entry to see PVR recording information. * Ratings are now visible in grid view for movies/shows/episodes. * Removed translations that are less than 50% complete. Translations are crowd sourced, please join translation site to help finish them. * Reduce priority of some background things to improve UI performance on older devices. * Update the gesture pad to fix some issues and add repeat mode visual indicator. * Many details fixes and optimizations. For the survey: I am a paid Yatse user and don't use it on Android 4. Edited by jellelle, 18 January 2019 - 02:55 PM. Hey there, Tolriq. I am a noobie, so could please tell me what to enter in the Authentication section under Login and Password? I am trying my emby username and password but it is not working! Same answer as always https://yatse.tv/wik...tse-kodi-remote logs ? Not working is really not clear enough. Yatse is requiring "Authentication" while Adding Host, so my question is what do I write under Login and Password?